Great looking garland. Nice idea. Good idea. You could also make a cute scarf for the holiday season. What a clever project! 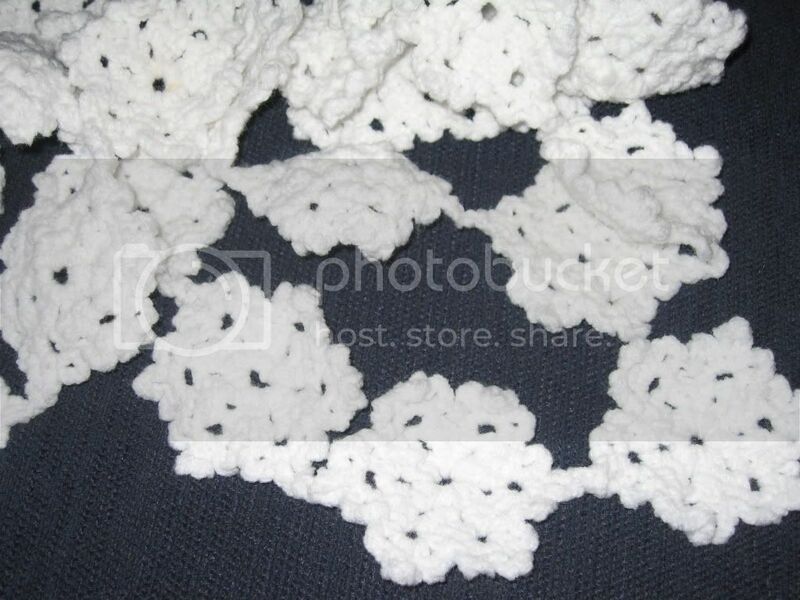 I think I will snag that idea and go look for a snowflake I could incorporate into a similar project! How many did you chain in between each snowflake? I also love this pattern I have made several for decorating purposes!! I made this project twice last year. One was 15ft long, the other was about 3. It was a fun project. Beautiful job.